Step out of the city life by going to Cleland Wildlife Park and Adelaide Zoo. 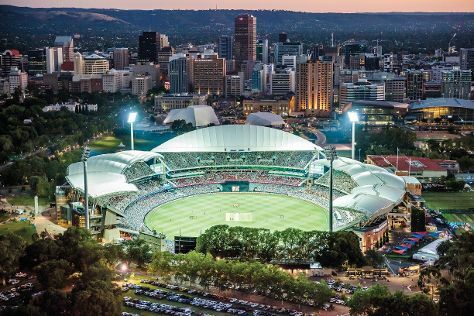 Your inner history buff will appreciate Adelaide Oval and The Cedars. When in Adelaide, make a side trip to see Gorge Wildlife Park in Cudlee Creek, approximately 44 minutes away. Dedicate the 17th (Sat) to wine at some of the top wineries in the area. There's much more to do: take in nature's colorful creations at Adelaide Botanic Garden, take a stroll through Rundle Mall, get engrossed in the history at South Australian Museum, and hunt for treasures at Adelaide Central Market. To find photos, maps, ratings, and tourist information, read our Adelaide trip builder app . Tampa, USA to Adelaide is an approximately 29-hour flight. You can also do a combination of flight and bus. The time zone changes from Eastern Standard Time to Australian Central Standard Time (South Australia), which is usually a 14 hour difference. Plan for colder temperatures traveling from Tampa in August, with highs in Adelaide at 60°F and lows at 45°F. Finish your sightseeing early on the 19th (Mon) so you can drive to Victor Harbor. Victor Harbor is a town in South Australia on the south coast of the Fleurieu Peninsula, about 80 km south of the centre of Adelaide. Deepen your sense of the past at sights like Old Port Victor Historic Walk and Nan Hai Pu Tuo Temple. Visiting Granite Island and Aldinga Beach will get you outdoors. You'll find plenty of places to visit near Victor Harbor: The Wellington Courthouse (in Wellington), St Joseph's Catholic Church (in Port Willunga) and Christ Church (in Yankalilla). There's much more to do: explore and take pictures at Softfoot, appreciate the views at Deep Creek Conservation Park, tour the pleasant surroundings at Encounter Bikeway, and learn about winemaking at Primo Estate. To find ratings, more things to do, photos, and other tourist information, use the Victor Harbor trip maker . Traveling by car from Adelaide to Victor Harbor takes 1.5 hours. Alternatively, you can take a bus; or do a combination of train and bus. In August, plan for daily highs up to 60°F, and evening lows to 45°F. Finish your sightseeing early on the 24th (Sat) so you can travel to Kangaroo Island. 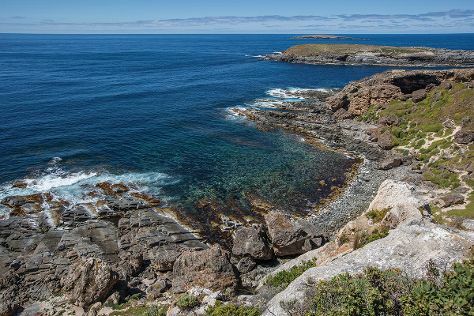 Visiting Flinders Chase National Park and Seal Bay Conservation Park will get you outdoors. Spend the 29th (Thu) exploring nature at Kangaroo Island Wilderness Trail. There's much more to do: identify plant and animal life at Raptor Domain, explore the striking landscape at Admirals Arch, Head underground at Kelly Hill Caves, and make a trip to Emu Ridge. To find other places to visit, ratings, and other tourist information, you can read our Kangaroo Island trip site . 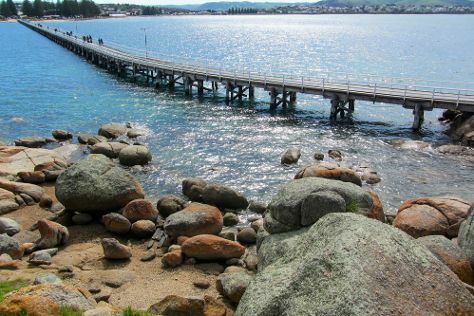 Do a combination of car and ferry from Victor Harbor to Kangaroo Island in 2.5 hours. Alternatively, you can do a combination of bus and ferry. Cap off your sightseeing on the 29th (Thu) early enough to travel to Port Lincoln. Primarily a marine industry town, Port Lincoln has about as many marina trawlers and grain silos as luxury yachts. Take a break from the city and head to Shark Diving and Mikkira Station. Step out of Port Lincoln to go to Coffin Bay and see Food Tours, which is approximately 32 minutes away. Spend the 2nd (Mon) exploring nature at Coffin Bay National Park. Spend the 3rd (Tue) exploring nature at Lincoln National Park. There's lots more to do: identify plant and animal life at Glen Forest Tourist Park, enjoy the sand and surf at Sleaford Bay, appreciate the history behind Flinders Monument, and stroll through Fishery Bay. To find where to stay, photos, ratings, and tourist information, read our Port Lincoln day trip planning site . Getting from Kangaroo Island to Port Lincoln by flight takes about 3 hours. Other options: do a combination of car and ferry; or do a combination of taxi, ferry, and bus. Cap off your sightseeing on the 4th (Wed) early enough to travel to Clare. The town of Clare is located in South Australia in the Mid North region, 136 km north of Adelaide. Get outdoors at Bowman Park and Clare Valley. Get some historical perspective at Martindale Hall Heritage Museum and St Aloysius Church. You'll find plenty of places to visit near Clare: St Mary's Anglican Church of Australia (in Burra), Wallaroo Heritage Trail 37 (in Wallaroo) and Miner's Cottage and Heritage Garden (in Moonta). There's lots more to do: steep yourself in history at Bungaree Station, explore the landscape on two wheels at Gleeson Wetlands, browse the exhibits of Clare Valley Art Gallery, and delve into the lush surroundings at Wirrabara Forest. For ratings, reviews, photos, and tourist information, you can read our Clare day trip planning website . Traveling by car from Port Lincoln to Clare takes 6 hours. Finish your sightseeing early on the 9th (Mon) so you can travel to Flinders Ranges National Park. Visiting Flinders Ranges National Park and Wilpena Pound will get you outdoors. Go for a jaunt from Flinders Ranges National Park to Wilpena to see Wangara Lookout about 1h 20 min away. To find more things to do and more tourist information, use the Flinders Ranges National Park road trip app . Getting from Clare to Flinders Ranges National Park by car takes about 4 hours. In September in Flinders Ranges National Park, expect temperatures between 72°F during the day and 48°F at night. Cap off your sightseeing on the 12th (Thu) early enough to travel to Coober Pedy. The population of Coober Pedy exploded after the discovery of opals in 1915. Popular historic sites such as Serbian Orthodox Church and The Big Miner are in your itinerary. Get in touch with nature at Breakaways Conservation Park and Josephine's Gallery & Kangaroo Orphanage. There's still lots to do: admire the striking features of Faye's Underground Home, get engrossed in the history at Umoona Opal Mine & Museum, look for gifts at Seven Stones Designer Jewellers, and examine the collection at Old Timers Mine. To see other places to visit, photos, reviews, and more tourist information, go to the Coober Pedy road trip app . Use the Route module to find suitable travel options from Flinders Ranges National Park to Coober Pedy. In September in Coober Pedy, expect temperatures between 75°F during the day and 51°F at night. Cap off your sightseeing on the 15th (Sun) early enough to travel to Mount Gambier. The most popular sites in Mount Bambier are the caves, where you can go cave diving. Visit Petticoat Lane and Sharam Cottage for their historical value. Step out of the city life by going to Naracoorte Caves National Park and Umpherston Sinkhole. Step out of Mount Gambier with an excursion to Parker Coonawarra Estate in Coonawarra--about 1 hour away. There's still lots to do: contemplate the waterfront views at The Blue Lake, take your sightseeing to a higher altitude at Mount Schank, get lost in a book at Mount Gambier Public Library, and enjoy breathtaking views from Centenary Tower. To find photos, more things to do, reviews, and other tourist information, read our Mount Gambier trip planner. Traveling by flight from Coober Pedy to Mount Gambier takes 5 hours. Alternatively, you can drive; or take a bus. Traveling from Coober Pedy in September, things will get a bit cooler in Mount Gambier: highs are around 60°F and lows about 43°F. Finish your sightseeing early on the 18th (Wed) to allow enough time to travel back home.